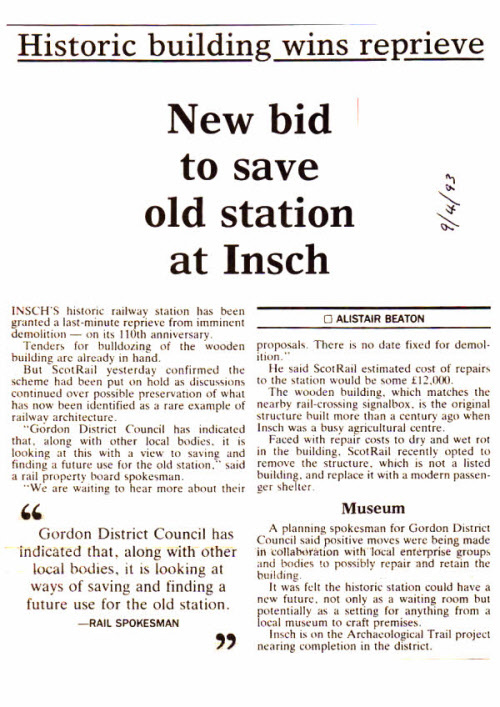 In November 1992 the article (below) appeared in the local press. It stated that ScotRail was likely to demolish the four room traditional station building. A local group had rented a room in the building, but had discovered it was in a poor condition. 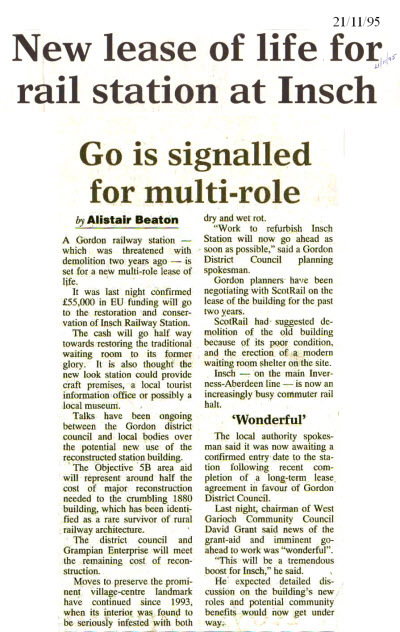 By March 1993 moves were afoot to repair and retain the building, led by Gordon District Council. In November 1995, it was reported that European Union Funding had been obtained. Throughout this time it continued to be opined that a possible use for the building was as a local museum. In April 1996 a Management Committee of five Trustees had been appointed and was looking for information on the history of the station building and the social and cultural history of the village and immediate surrounding area. 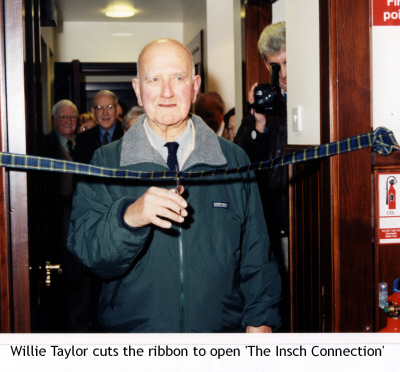 The opening, by Mr William Taylor took place on Saturday 13th December, 1997 and on Sunday 14th December, 1997, the Insch Connection was opened to the public from 10am until 4pm. Every year since then it has opened on Sunday and Wednesday afternoons from April to October. An annual exhibition is mounted from April to October each year and details of all past exhibitions have been collated into albums. In addition information about aspects of local life and about the people and the area has been recorded. So despite the small size of the building, it contains many photographs of local interest, a substantial range of artefacts and a fund of archive material, 3100 entries of which are searchable on our computer system.